Hailing from Albuquerque, NM, Def-i represents the Diné Nation as one of the Southwest’s most active and prominent touring artists. 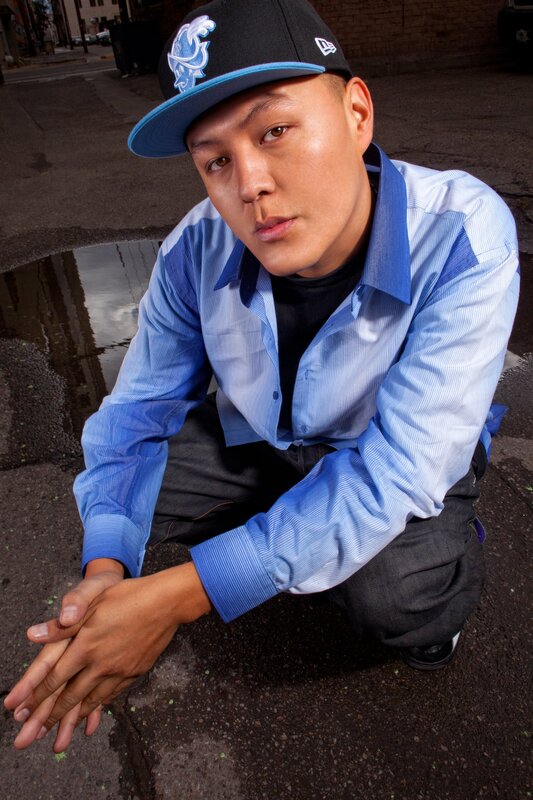 His performance styles range wide from Hip-Hop and Spoken Word to Contemporary Native-American Acoustic. Emerging from the Underground Indy rap circuit, his eclectic repertoire of talent has allowed him to single-handedly perform regularly throughout the country solo or alongside his newly formed live-fusion quartet ‘DDAT.’ With multiple national tours and festivals under his belt, his recent ground breaking 2017 solo project ‘Arrow•Rhymanics’ received much deserved fanfare & launched him into featured appearances on internationally recognized segments such as Eminem’s XM radio station Shade 45, Sway In The Morning on Shade 45, BBC News, National Public Radio (NPR), Vans Warped Tour, PBS, and a plethora of other Hip-Hop outlets. Complimenting his diverse musical skill set, Def-i is also an experienced youth workshop provider & active community member. Throughout the past decade, he has worked with many College, High School, Junior High, and Elementary students teaching creative writing, song recording, the art of beat making, and the fundamentals of Hip-Hop culture. Aside from his dedication to Hip-Hop education, he has also helped environmental movements as an activist in the indigenous community. With the aid of respected artists such as Taboo of Academy Award winning group ‘Black Eyed Peas’ plus other Dream Warriors, Def-i helped raise over 1.8 million dollars for the legal defense of Water Protectors in Standing Rock via live concert fundraising. From years of hard work, selling thousands of CDs hand to hand, building an understanding of the nature of a music grind whilst living a sober lifestyle, Def-i cemented his name as one of our generations true representatives of Hip-Hop, making him a positive model for young indigenous artists and students of the culture.